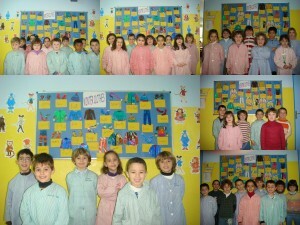 Students on year 1 are learning clothes that we wear in winter. We learn their names: hat, gloves, trousers, boots, scarf, socks, jacket, jumper and skirt. We decorate our corridor with pictures about clothes and we write their names. This entry was posted in Anglès, Vocabulari on 3 febrer 2010 by nsarda2.